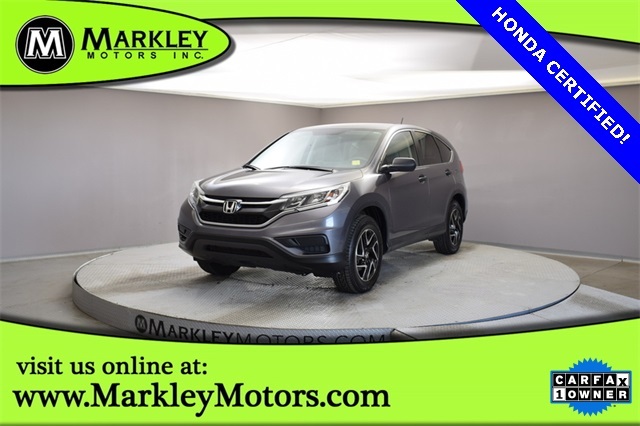 Our award-winning Certified 2016 Honda CR-V SE AWD in Modern Steel Metallic is a smart choice that you're sure to love! Powered by 2.4 Liter 4 Cylinder that offers 185hp connected to a CVT with a sport mode that offers great passing. 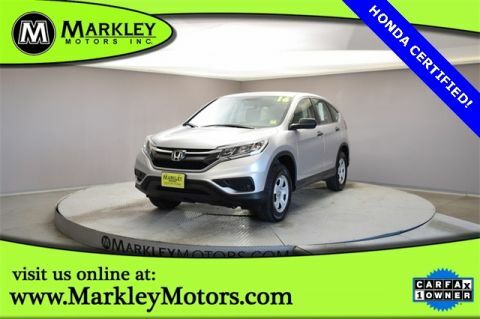 Reward yourself with this All Wheel Drive with near 31mpg on the highway. An ideal balance of size and capability, our sure-footed CR-V is ready to take on whatever your lifestyle requires even when road conditions are less than ideal. With clean simple lines and sophisticated styling, our CR-V SE has classic good looks you will appreciate. 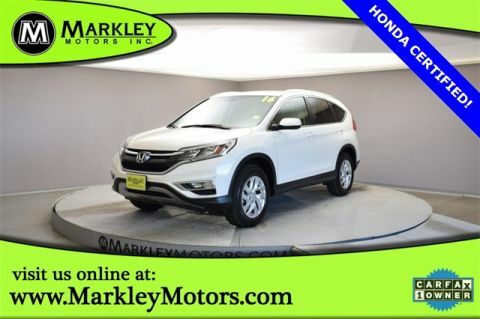 Honda boats excellent safety scores thanks to advanced capability engineering, backup camera, vehicle stability assist with traction control, excellent outward visibility, and an army of airbags, this CR-V also provides you with priceless peace of mind. Get behind the wheel and begin your newest adventure today! Print this page and call us Now... We Know You Will Enjoy Your Test Drive Towards Ownership! We Value You As A Customer And Look Forward To Showing You What The MARKLEY DIFFERENCE Is All About. We've Been In Business For 82 Years For A Reason! Call Us Now At MARKLEY MOTORS At 1-970-226-2213. USED VEHICLES MAY BE SUBJECT TO UNREPAIRED MANUFACTURER RECALLS. PLEASE CONTACT THE MANUFACTURER OR DEALER FOR THAT LINE MAKE FOR RECALL ASSISTANCE/QUESTIONS OR CHECK THE NATIONAL HIGHWAY TRAFFIC SAFETY ADMINISTRATION WEBSITE FOR CURRENT RECALL INFORMAITON BEFORE PURCHASING.